Iridescent ammolite gemstone is formed from the fossilized shell of prehistoric sea creatures called ammonites which compressed where they lay to rest between sediment on the sea floor. Over millions of years the shifting of tectonic plates applied pressure and mineralization converting ammonite shells into the striking chromatic spectrum of material called Canadian ammolite. 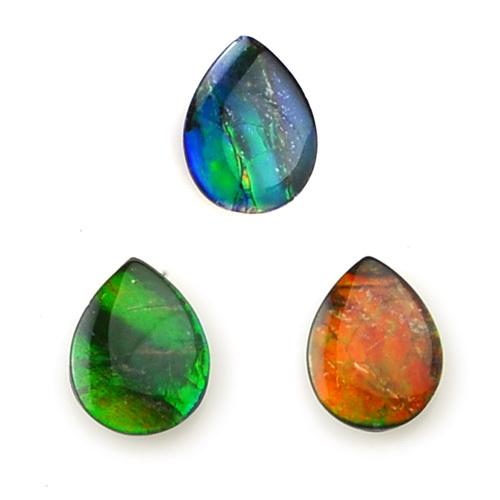 The presentation of color within ammolite is attributed to the light interference refracting into the many layers of gemstone. Each layer of color represents a layer of gemstone material. No two stones are identical. Some display interconnected mosaic fractures resembling scales or spider webs while others contain ribbons of color or broad areas of intense fire seamlessly blending together. As with any fossil much of the source material has suffered from decomposition due to the erosion process making it unsuitable for gemstones and increasing the rarity of usable material. 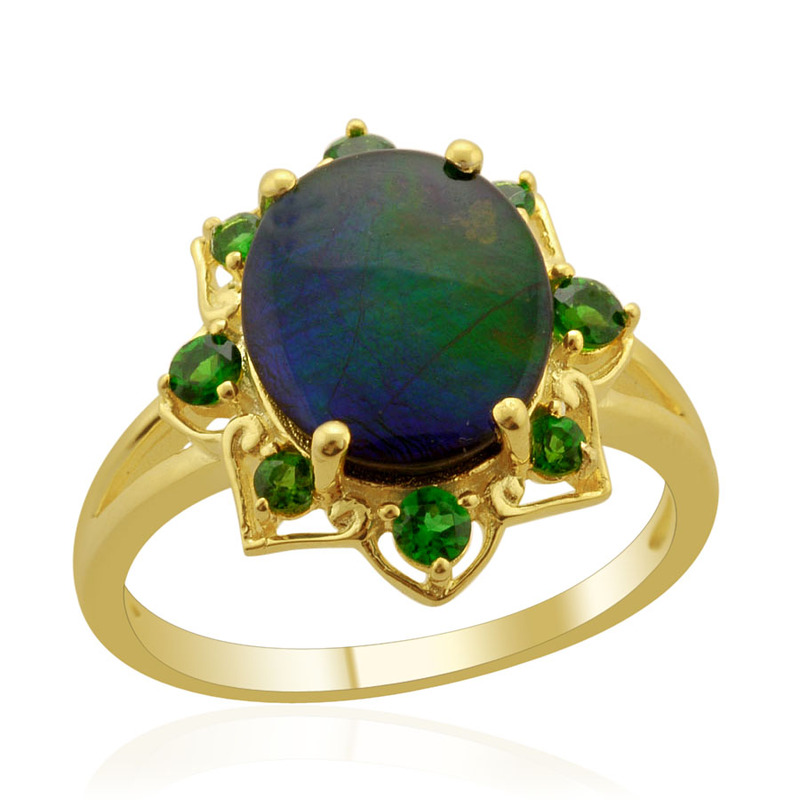 Ammolite value has increased 250 percent over the past decade. Top grades of ammolite represent only 5 to 10 percent of the gem material that is mined annually. To put the ammolite gemstone's rarity into perspective note that the average diamond mine produces 1.5 carats per ton of earth moved. Ammolite mining produces an average of just 0.6 carats per ton of earth. Highly specialized mining analysts must be trained to spot the ammolite gem layer. After the ammolite is located mining personnel carefully remove the stone using only hand tools. Ammolite is truly one of nature's rarest gems. • According to the ancient Chinese principle of Feng Shui ammolite promotes the flow of "Qi" (pronounced chi) throughout the body enhancing well-being and reducing the body's toxicity. Its rich colours stimulate creativity energy wisdom intellect and wealth. It radiates the Earth's energy in every colour of the visible spectrum and is said to help bring the wearer's energy into balance. 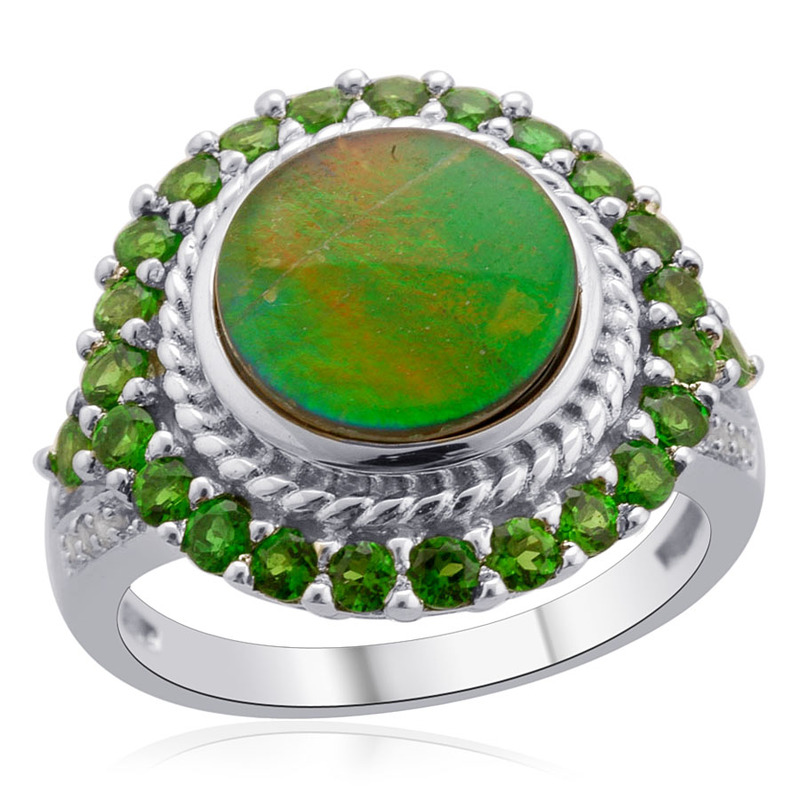 • When ammolite is placed in the home it promotes a happy family. When it is placed in the office it promotes good business dealings. Ammonite marine mollusks with spiral shaped shells much like today's Nautilus were abundant 65 million years ago. 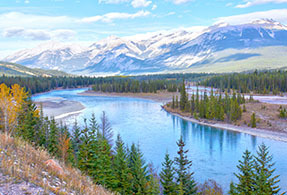 Their natural habitat was the shallow inland sea which once covered the land of Alberta Canada. Fossilized ammonite shells have been found in the rock formations of southern Alberta. Paleontologists theorize that during the late Cretaceous Period mosasaurs a marine reptile enjoyed dining on Ammonites since many fossils were found with bite marks. In approximately 20 years ammolite supplies are expected to be completely exhausted. • Ranks 4 to 4.5 on the Mohs hardness scale. • Colors display in an opal-like spectrum of fiery oranges soothing blues and electric greens. • Sourced from Alberta Canada. • Member of the ammonite family this stone is not a mineral but a fossil. • Also known as calcentite korite and lumachelle. 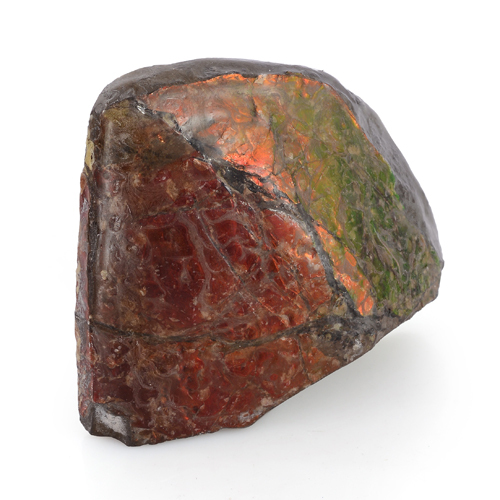 • Ammolite is rarely offered untreated and is almost always cut into free-form slabs.